Scripture makes it clear that communion with the Holy Spirit is the key to living the kind of empowered and authentic Christian life we see modeled in scripture. The Holy Spirit works within us to form hearts that truly worship, minds that understand of the depths of God's word, and hands that accomplish the miraculous. This book will acquaint you with the mysterious third person of the trinity, helping you to draw closer to him so that you may become a carrier of God's spirit - a chosen friend of God. If you desire to know God in a deeper and more intimate way, if you want your soul to be set ablaze with a passionate love for him, if you want to walk in the fullness of all that he has created you for, then this book is for you! Draw close to his glory. A great book and must if your purpose is to know more about the Holy Spirit!!! The narrators voice totally ruined the book for me! He sounded like a robot and made the book totally lifeless and actually very difficult to listen too. The book may have had some good personal stories but I could not get pass this robot voice. I was extremely disappointed and will return the book. To those who are interested in this subject, the content is priceless but I simply cannot listen to this book because of the synthesized robotic voice reading it - no inflection, no expressiveness, inhuman intonation, unnatural rhythm. To describe the book as being read by a William Crockett is a plain lie; maybe he's a human being who read the words and they're being put together by a computer program (the official name is concatenative speech synthesis), but this is obviously not a human being naturally reading the book out-loud. To record a book about God, the author of the amazingly beautiful, complex, sensitive human voice, in this monotonous, robotic, computer-generated rhythm is an offense I cannot bear. Would you be willing to try another one of William Crockett’s performances? Did Carriers of the Glory inspire you to do anything? Sadly no because it was un-listenable. Please please have a real person read this book naturally. 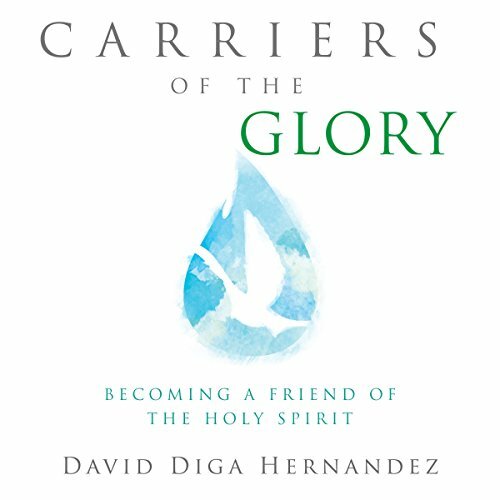 the author provides a simple way to develop a friendship with the Holy Spirit. He establishes the foundation to understand the Holy Spirit in four chapters so the reader can know the person of Holy Spirit. Overall it is a good book. The narrator was very clear and easy to understand. I would definitely purchase the read along version they offer.. This book really is a dive into the Person of the Holy Spirit. I loved it. Read it in one day! Was not able to turn it off. Going to listen it again. Just one of those books !! Thank you David for being obeying to the voice of the Holy Spirit!! Great Book! ... Changed my life! Beautifully depicts the relationship with the Holy Spirit, And Crockett's reading flows well in this work. I enjoyed it very much! This book came right on time....I actually had been eating Mr Hernandez on YouTube when I downloaded this book....I did not realize it was him until I was half way through it...He is consistent and bold in his preaching on the Holy Spirit....I highly recommend this book for all believers who want to deepen and enrich their understanding and relationship with God The Holy Spirit.